thing around the world, pakistan and travel: Opening a bank account as a foreigner on visit visa in another country. Opening a bank account in china as a visitor. Opening a bank account as a foreigner on visit visa in another country. Opening a bank account in china as a visitor. 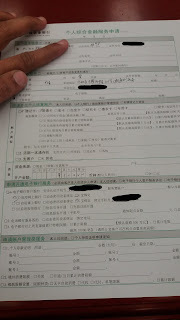 On my recent trip to China, i opened a bank account in Agriculture Bank of China on my visitor visa. Since, english is not very common in china it was difficult to explain to the guys what we want, but in the end one customer service representative understood that we were there to open a bank account and he helped us filling up the form and our details. 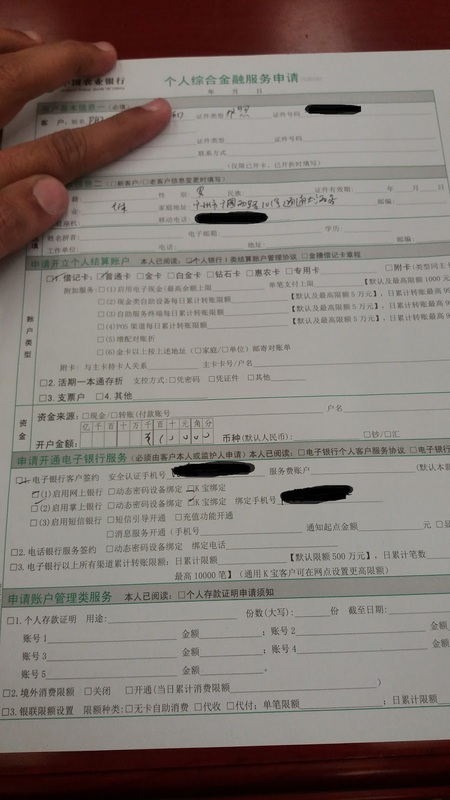 The steps were simple, but we needed help of the customer service rep as the form were in chinese so we asked him to fill our form. - Local chinese mobile phone number is must, which is used to send transaction pins and transaction alerts. SO it is suggested to purchase a local china sim before going to open a bank account. - Fill in your address. You can give your hotel address which is also acceptable. - Photocopy your passport information page and visa page. The form looked something like this. Once you have filled in the details, take a token and wait for your turn. On my turn , i went to the counter. The officer checked my details and for account opening send a pin code to my mobile number. I entered the pin at the numberic counter which was at the visitor side of the window. Once i filled in the pin number, the process began and he asked me to enter my atm pin and one more time to verify my atm pin. After the atm pin is verified, i was asked to make an initial deport of RMB 100. After the deposit, i was instantly issued an atm card and an online banking usb dongle to enable online banking. So now you can enjoy the benefits of being a bank account holder in china. - When purchasing you can make purchases thru your debit card. - No need to carry cash. - You can withdraw cash at any atm in china. It was a learning experience for me to open a bank account in a foreign country as a visitor and that too on a visit visa in a country like china. All in the all the process took less than an hour, but it helped a lot in getting payment in my bank account and then making payment to vendors and suppliers thru the debit card. Labels: bank account, bank account in china, international bank account, online bank account, opening bank account as tourist, opening bank account on visitor visa.